Mme. Secretary, there’s only way we can respond. 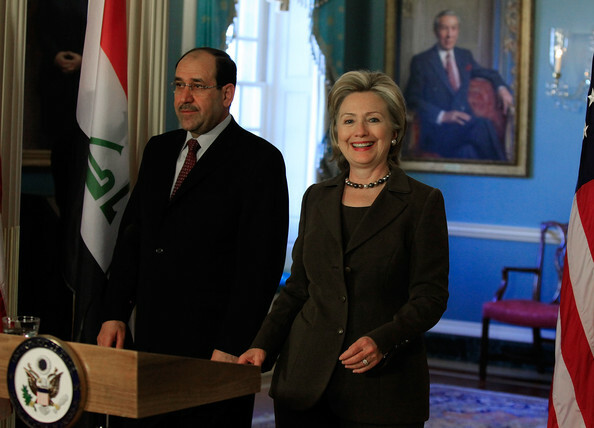 Clinton says US will still stand by Iraq. 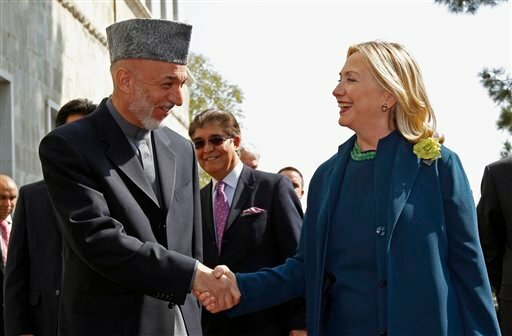 Clinton highlights Afghan security, human rights. DUSHANBE, Tajikistan (AP) – U.S. Secretary of State Hillary Rodham Clinton says the United States will continue to support Iraq as it moves toward democracy. #HeilObama & Co. will stand by and watch, as within a week after the last US forces leave Iraq, The Muslim Brotherhood suddenly appears ‘out of nowhere’ and takes over with immediate implementation of full-on Shari’a Law. Clinton was promoting the concept of a “new Silk Road” that would increase regional trade and commerce. “We hope it will give rise to a network of thriving economic relationships around the region,” she said. However, Clinton added, countries would have to remove or ease trade restrictions and reform commercial laws for the scheme to succeed. For a while now, Hillary’s basically been admitting she’s ‘up there’ in ICR2P and the operational acceleration to a full one-world Totalitarian government is well underway, but Moose Limbs, Teh Juice and Hobbits still aren’t playing nice-nice in the sandbox. This entry was posted on Saturday, October 22nd, 2011 at 06:57 and is filed under Main Postings. You can follow any responses to this entry through the RSS 2.0 feed. You can leave a response, or trackback from your own site. 2 Responses to Mme. Secretary, there’s only way we can respond. Of course, Mrs. Clinton refused to leave Libya until the Lockerbie bomber was handed over, right? Right? Hillz needs a new hair dresser. She is too damn old to have hair like that.